Not sure what to whip up for a fancy dessert? 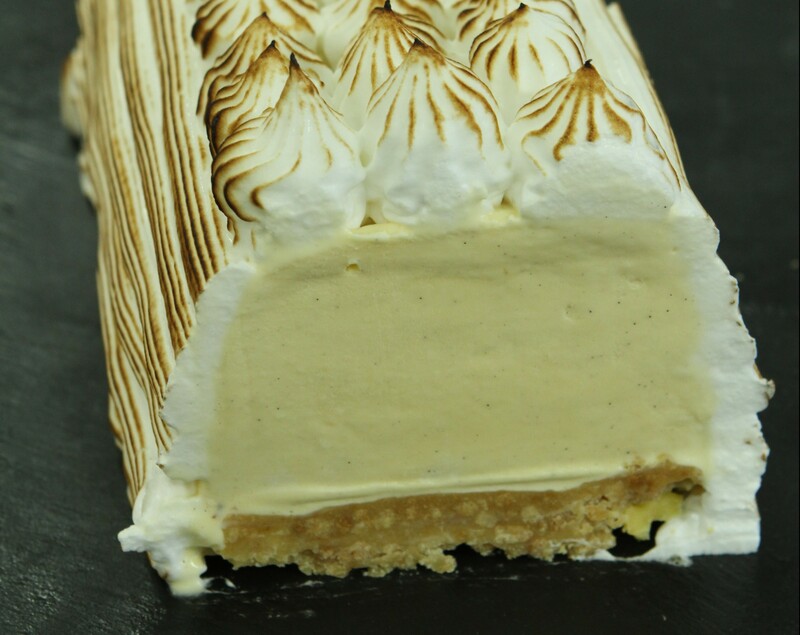 You can’t go wrong by serving up this classic Bombe Alaska. This recipe was first published in Flavours magazine. To make biscuit base: Combine biscuits and margarine, and mix well. Spread 1/3 of the ice cream over the bottom of a 24 x 10 x 7cm loaf pan (preferably silicon). Cover with biscuit base and freeze. Just before serving, remove the ice cream from the pan. To top with meringue: Whip the egg whites, adding the sugar gradually, until mixture is stiff. Spread onto the prepared chocolate log to coat it thickly. Bake at 250ºC until surface is lightly coloured or flame with a blowtorch. Serve immediately.